Happy Summer! I hope you’ve had some time for stamping. 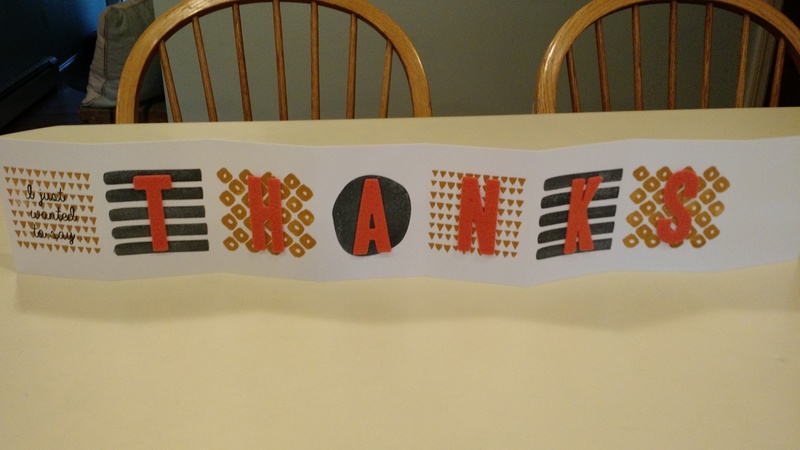 I finally got some time on our rainy Sunday, to make some cards for my awesome downline. This is a card straight out of the 2015-16 Annual Catalog on page 16. It used Mint Macaron, but I tried it with all the new in-colors. 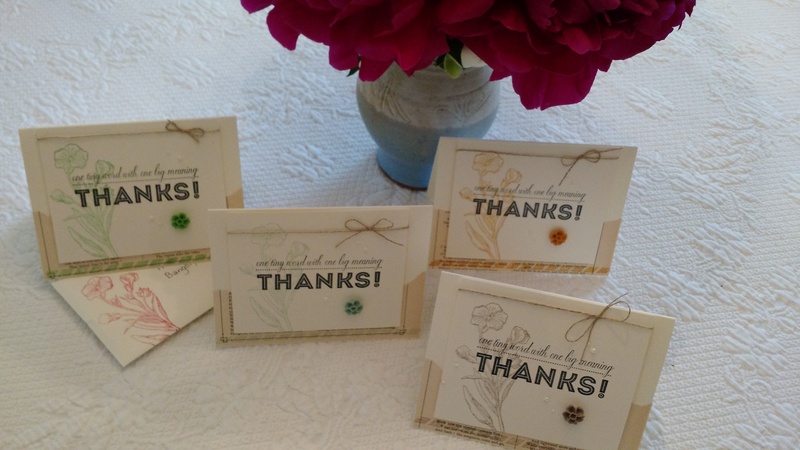 This is the new “One Big Meaning” sentiment stamp set. Thanks for stopping by! 1/2 cup vegetable oil, 1/2 cup soy sauce, 4 T. ketcup, 2 T. apple cider vinegar, 1/2 tsp. pepper, 4 cloves garlic, minced. Mix all ingredients and marinate chicken for at least 6 hours before grilling. We had a little baby shower at our Monday night stamping class for one of our stampers who has daughters and is having a little boy next month. She has a nautical baby theme, so this is the card that I made. The paper is from the “Adventure Bound” paper stack. 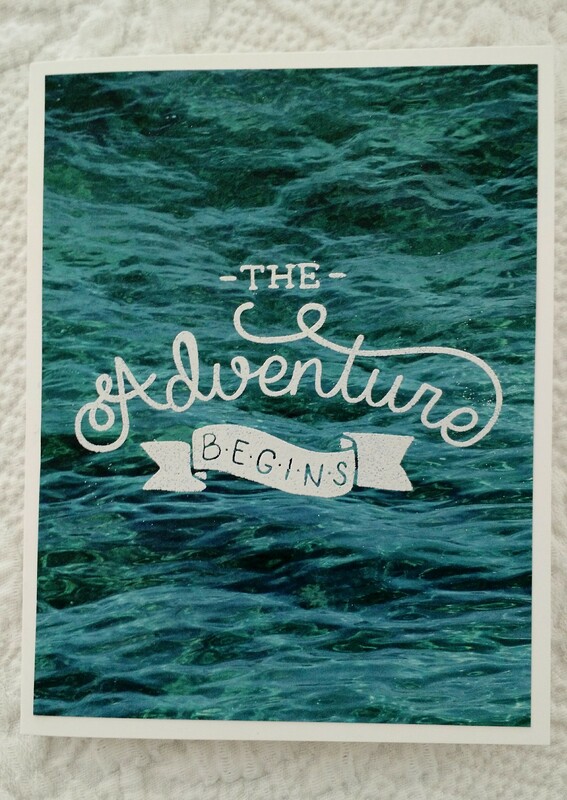 I heat embossed the sentiment with a stamp from the “Adventure Awaits” stamp set. Best wishes Johanna…we can’t wait to meet the little guy! Good Morning and Welcome Back to Stamping Peace! 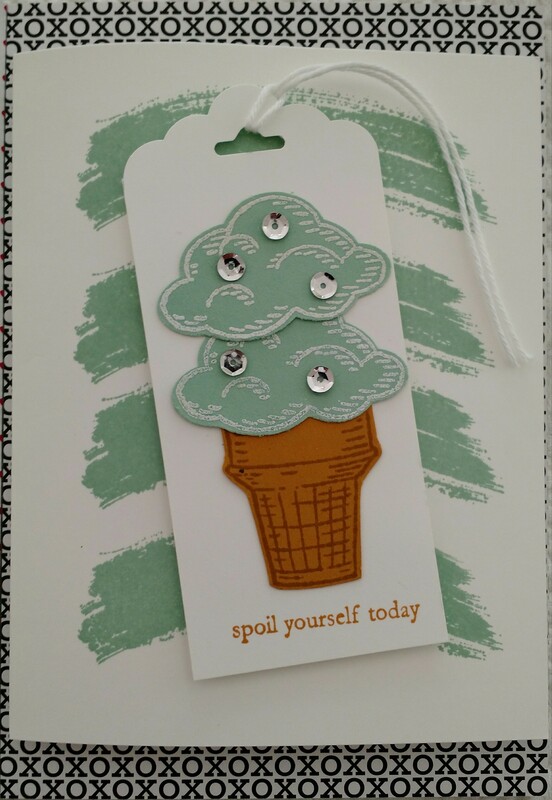 This cute ice cream cone was made with the new “Sprinkles of Life” stamp set. 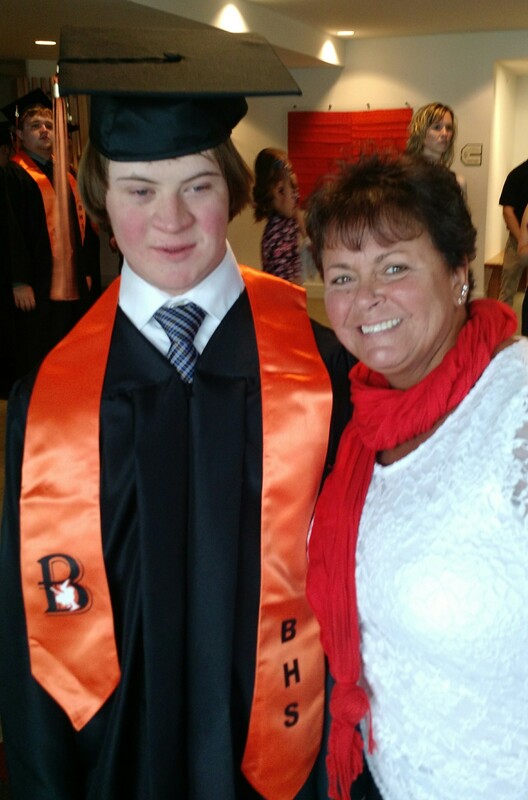 As a “last day of school” gift, Joseph gave his classmates coupons for a free ice cream cone to Jimmie’s Ice Cream and Grill where he works one afternoon a week. 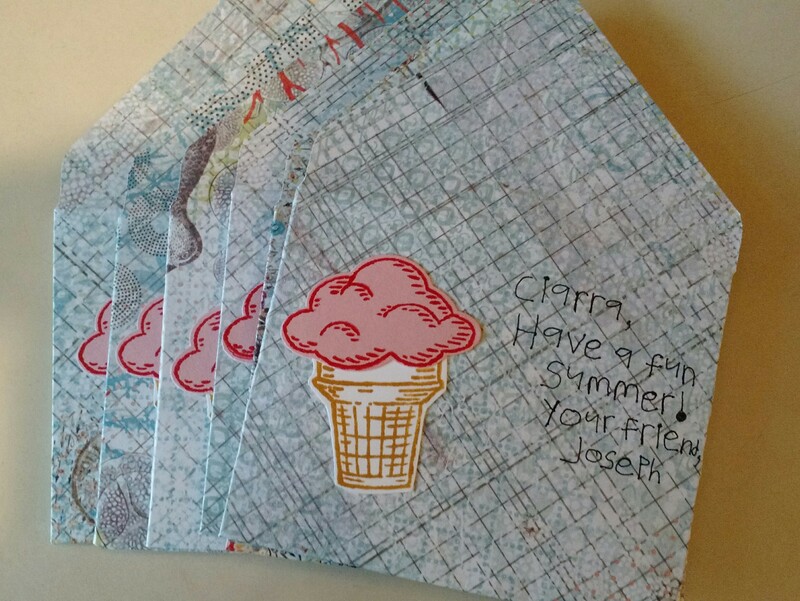 Each envelope was decorated with his favorite…strawberry ice cream made with Blushing Bride Cardstock and Watermelon Wonder Ink. 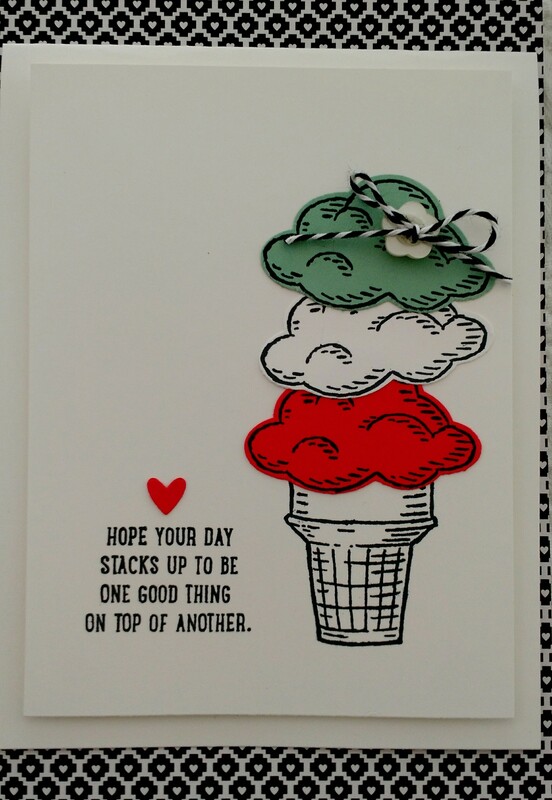 The cone was stamped with the new Delightful Dijon Ink. 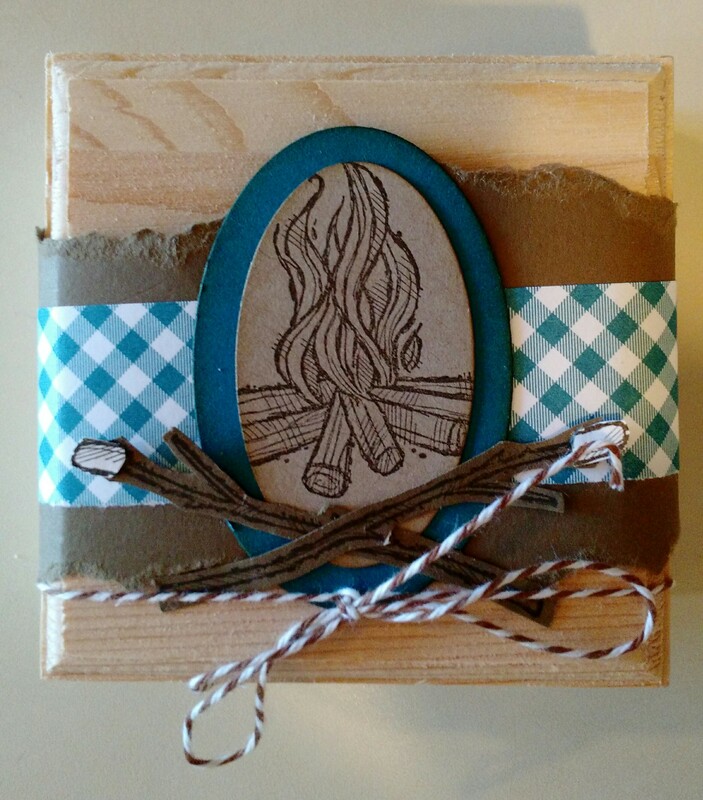 We’ll be using this stamp set at our stamping classes next week. Hope to see you!